Seattle is one of the most congested cities in America, in part due to delivery trucks taking up space on crowded streets. One solution could be for companies to make deliveries using bicycles instead. 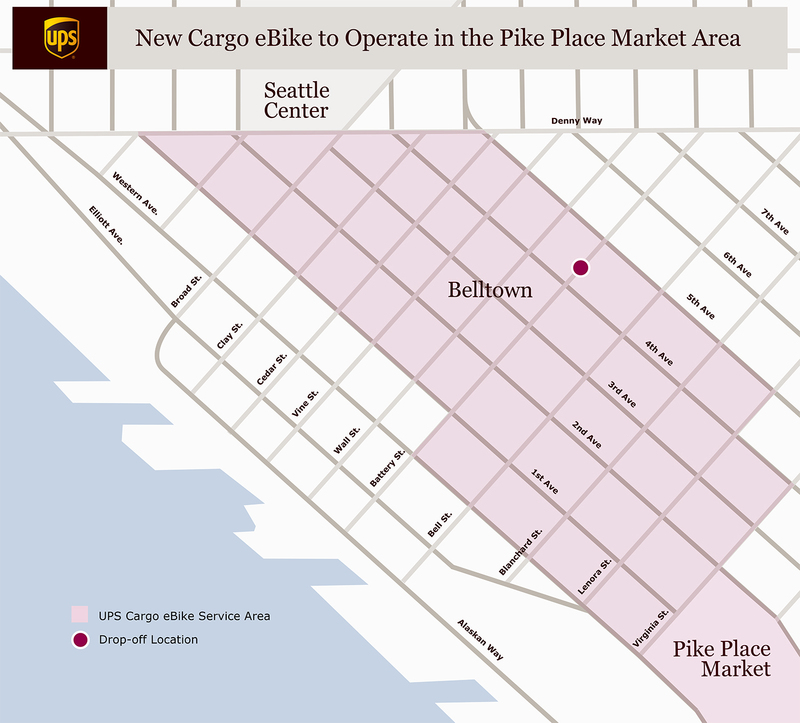 UPS announced today that it will be pilot-testing deliveries with cargo e-bikes in downtown Seattle. This test is expected to last a year, and the University of Washington’s Urban Freight Lab at the Supply Chain Transportation and Logistics Center will help UPS evaluate the study’s outcomes. 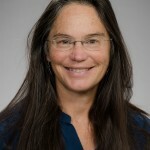 “We are excited to play a role in this innovative approach in an effort to reduce traffic congestion in Seattle,” said Anne Goodchild, the director of the center and a UW professor of civil and environmental engineering. 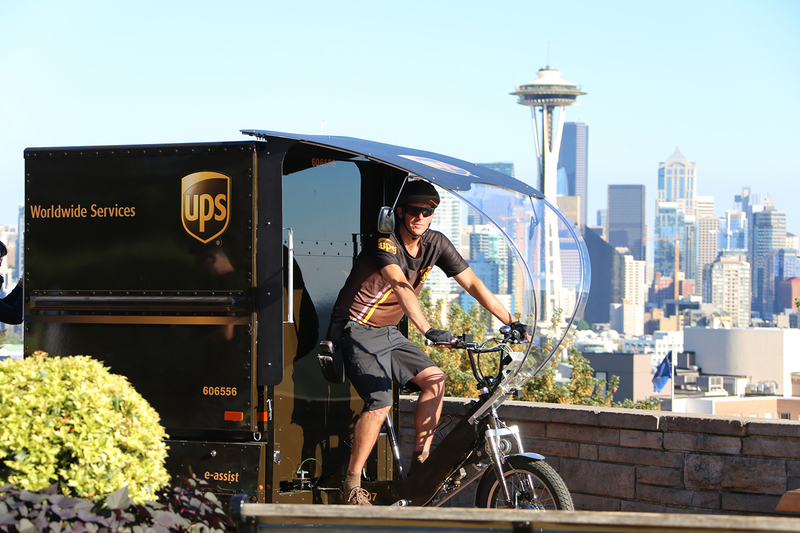 UPS has pilot-tested its e-bike delivery systems all over the world, with the first test taking place in Hamburg, Germany, in 2012, and the first U.S. test in Portland, Oregon, in 2016. 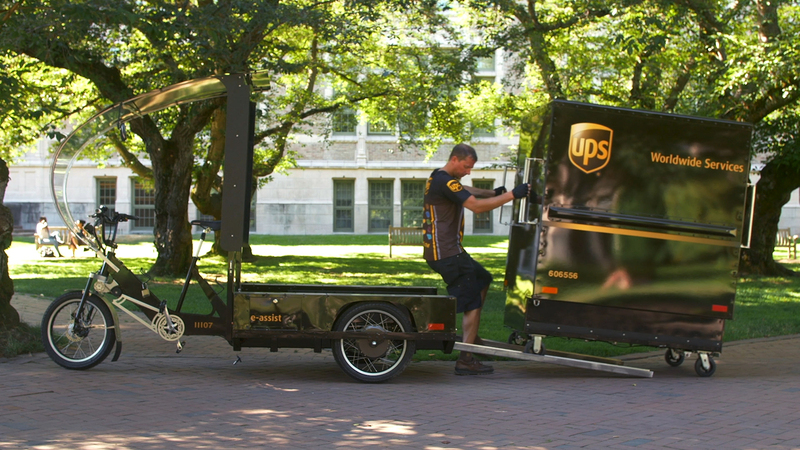 In those tests, UPS used an electrically assisted tricycle with a wagon over the back two wheels to hold packages. For the Seattle pilot test, the wagons will be modular, detachable boxes that can carry up to 400 pounds and can be presorted according to neighborhood or route. This is the first time UPS will use these detachable wagons in the U.S.
UPS partnered with the Seattle Department of Transportation to design a test route: The e-bikes will operate in Pike Place Market and the downtown Seattle area on sidewalks and in designated bike lanes. 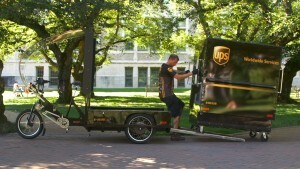 To evaluate the pilot test, UPS will share its data with the UW’s Urban Freight Lab. The UW team will analyze three delivery routes that will be affected by the e-bikes to see how emissions change over the next year. “We’re also going to measure if e-bikes will reduce the amount of time cargo vans and trucks spend in loading zones, and how pedestrians and other bicyclists are affected,” said Barbara Ivanov, director of the Urban Freight Lab. 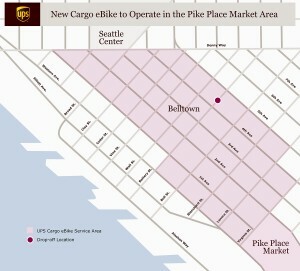 If this pilot test is successful, UPS plans to expand the e-bike delivery service to other areas of Seattle. “I’m really proud of our collaboration with SDOT and UPS, because truly innovative solutions will only be found when we work together,” Goodchild said. For more information, contact Goodchild at annegood@uw.edu, Ivanov at ivanovb@uw.edu or Kristen Petrella at kpetrella@ups.com or 404-828-4182.